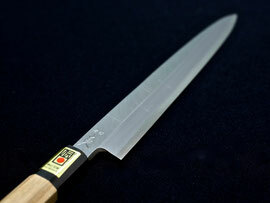 What are the differences between Honyaki knives and Ksumi knives?? 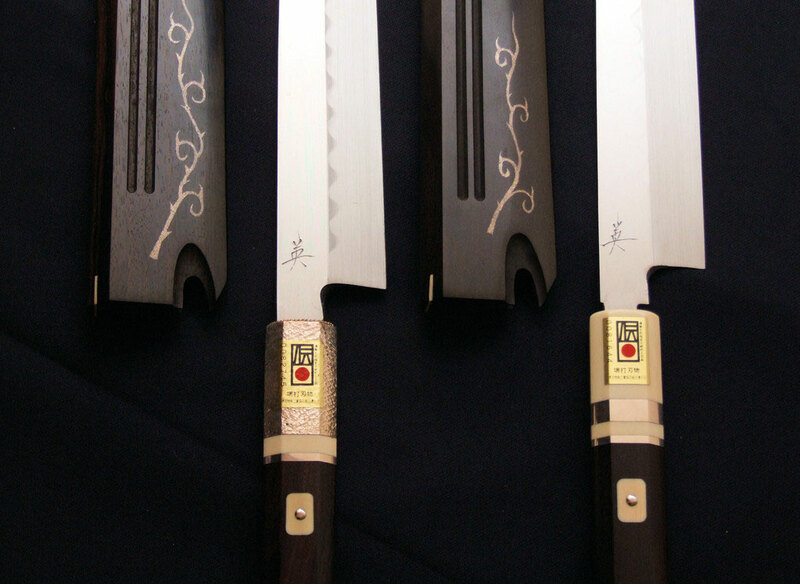 There are two classes of traditional Japanese knife forging methods: HONYAKI and KASUMI. The class is based on the method and material used in forging the knife. Honyaki knives are forged from one single material, usually high-carbon steel. The finest honyaki are then differentially-hardened, the same method used for traditional katana. 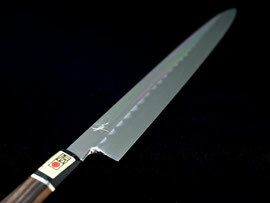 Their sharpness is the longest lasting of all Japanese blades. They are extremely difficult to forge, requiring a high level of skill and experience. They are very difficult to sharpen and maintain, and easily damaged if not used properly. They are also more expensive than other knives. 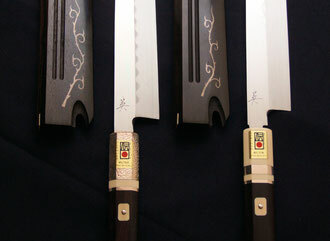 Kasumi are made from two materials, like samurai swords: high-carbon steel "hagane" (blue or white steel in good kasumi knives) and soft iron "jigane" forged together. This style of knife offers a similar cutting edge to a honyaki blade in high-grade knives. It offers the benefit of being "more forgiving" and generally easier to maintain than the honyaki style, at the expense of stiffness.